New York: Pantheon, 1999, 275 pp. 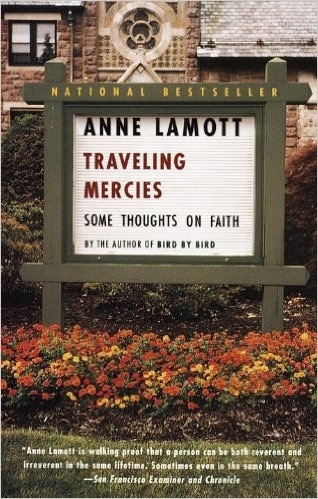 Every afternoon for a whole week this fall, I’d say to myself, “Oh goodie, I get to go home and be with Annie tonight.” I was reading Traveling Mercies: Some Thoughts on Faith, Anne Lamott’s latest collection of essays. Nearly everyone says the same thing about this book, “I didn’t want it to end. I just wanted her to keep talking to me.” Reading the book was almost like having her curled up on the sofa next to me drinking a cup of tea and chatting away. Lamott writes about her life, her faith, and her crazy relationships. She tracks her spiritual development from her California childhood in a nonreligious home with a father she adored. As an adult, she let her spirituality go underground. 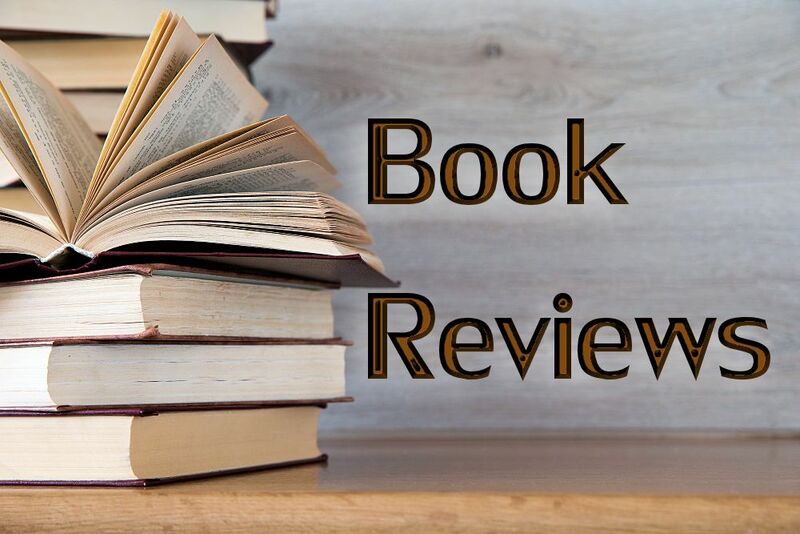 This book is the story of finding it again, her life in a church in Marin County, and the link between her recovery from drinking and finding her place with God. Her essays are like delicious moral tales. Wise and wacky, they often leave me thinking, “Well, if she can survive life, so can I.” No matter how bad things get (and having her father die of cancer, being bulimic and alcoholic, having a baby without a partner, and then having her best friend die of cancer is pretty challenging) she finds hope, humor, wisdom, or compassion. Her recovery from alcoholism led her to St. Andrew Presbyterian Church, a predominately African American church across the street from her favorite flea market. She says it was just the right place to go when recovering from a hangover–the flea market, not the church. But the singing from the church drew her in, and eventually she was sitting inside listening to the music and to God. Now she talks to God regularly, and in Traveling Mercies she lets us listen in. Lamott is not pious at all. And yet, she has a deep, abiding faith and strong sense of God’s presence in all the parts of her life. She leans on God. She talks to God all the time and asks God for what she needs. In an essay called, “Mom,” she says that forgiveness is giving up all hope of having had a different past. In “Forgiveness,” she shares her attempt to actually forgive someone. Instead of starting with someone she’d been mad at for a long time, she decides to try to forgive a woman who shows up at her son’s school “wearing latex bicycle shorts nearly every day, and I will tell you why: because she can.” Pretty quickly Lamott realizes she needs to worry less about forgiving the woman and more about how judgmental and insecure she is being. Learning to accept ourselves is a theme that comes up over and over in Traveling Mercies. In “The Aunties” (a term of endearment Lamott assigns to her thighs) she describes trying to feel like a beautiful human being in her bathing suit on the beach in Mexico with teenage girls wandering around. Do yourself a favor, read Traveling Mercies and let this brilliant, witty, funny, moving, insightful writer offer you support for the life of faith. Jeanette Stokes founded the RCWMS in 1977 and serves as its Executive Director. A graduate of Smith College and Duke Divinity School, she is an ordained Presbyterian minister living Durham, NC. 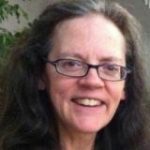 Jeanette has led workshops on women, spirituality, creativity and social justice. In 1997 she constructed a 40'x40' canvas labyrinth to use in workshops and retreats. Jeanette is the author of two collections of essays, 25 Years in the Garden and 35 Years on the Path, and three memoirs, Hurricane Season: Living Through a Broken Heart, Flying Over Home, and Following a Female Line. She likes to write, paint, dance, and garden.